We suggest monochromatic looks with colorful accessories. Did Michael Kors Knock Off Shrimps's Striped Coat? 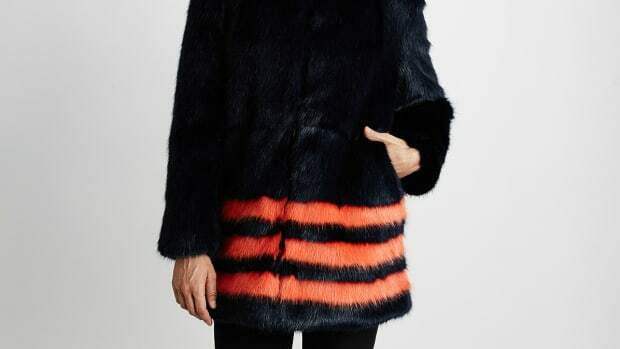 We could spot the fuzzy street style staple — which originally debuted in the Shrimps fall 2013 collection — anywhere.